In the quest to produce safe food, the importance of properly cleaned and sanitized equipment is paramount. 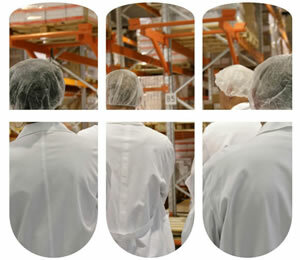 The typical food processing environment can be an inviting home for many types of microorganisms. Food processing equipment, if not properly maintained in a clean and sanitary condition, can provide growth niche opportunities leading to biofilm formation and potential product contamination. SurfaceGuard®, a component of BrandGuard®, is a comprehensive approach to properly cleaning and sanitizing processing equipment and environmental surfaces. Carefully blended cleaners and sanitizers, innovative chemical dispensing and application equipment, and instructional training on proper chemical application techniques anchor the SurfaceGuard Program.